Our all-ceramic dental implants are absolutely metal free, highly resistant to acids and bases and are therefore an excellent alternative to Titan implants. therefore does not cause allergic or foreign particle reactions. In the area of the front teeth the jawbone is often very thin in which conventional Titan implants tend to cause a dark shadow in the gum. 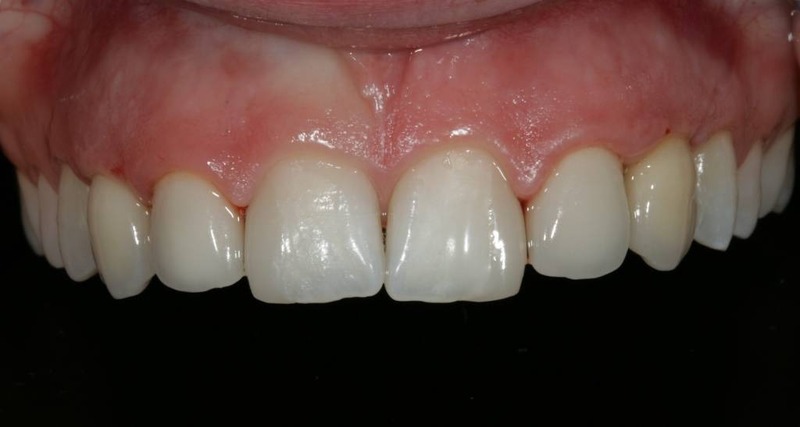 Since all-ceramic implants display a much better light translucence, no dark shadows can be seen. Also, the dental prosthesis on top of the implant (for example a crown) looks better. A natural tooth is translucent to a certain degree. A Titan implant impedes this translucence. With an all-ceramic implant however, the light can shine through the teeth. Thus, the combination of an all-ceramic dental implant and a porcelain crown can hardly be distinguished from a natural tooth. The full ceramic implant system by ZERAMEX heals securely and effectively. The especially developed surface structure of the implants ensures a safe bond between the living bone tissue and the dental implant which means that the bone fibre can coalesce with the implant. 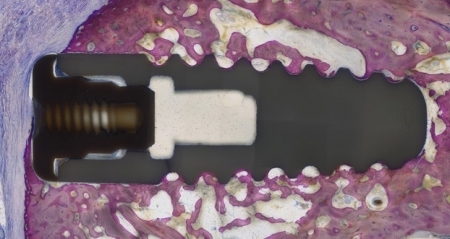 Soon the implant will be part of your own body. This guarantees a perfect osseointegration (osseo = bone). 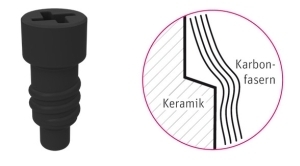 All-ceramic dental implants do not cause any interference in the body as they are neither magnetic nor radioactive and have a low thermal conductivity. The all-ceramic dental implants we use in our dental clinic are subjected to strict quality controls and are tested for 100% stability. This considerably reduces the risk of breakage and guarantees a life long and lasting high chewing pressure (if good oral hygiene is kept). Due to the wide range of the all-ceramic dental implant system ZERAMEX it is possible to supply many patients with all-ceramic implants – even cases in which no other implant system holds a solution.